To compare this season’s Warriors to the previous iterations are unfair. This current version has learned from previous mistakes, evolved into how they operate now, and of course, possess the most talent we’ve ever seen assembled on a basketball court. 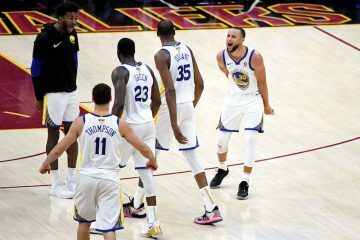 The past two season saw a squad led by Stephen Curry and Draymond Green play with ferociousness, velocity, and the chip on their shoulder combined with overall joy. While it hit some bumps on the road towards the latter half of last season, it was mostly rainbows. The Kevin Durant version is now emulating the exact formula, combined with a Durant chug of a Coors Light before his presser. The change, though, comes in the methodical nature that these machine-like, or Spurs-esque, Warriors are slowly adapting. Gone are the flashes and overwhelming runs that knockout an opponent in 3 minutes flat. 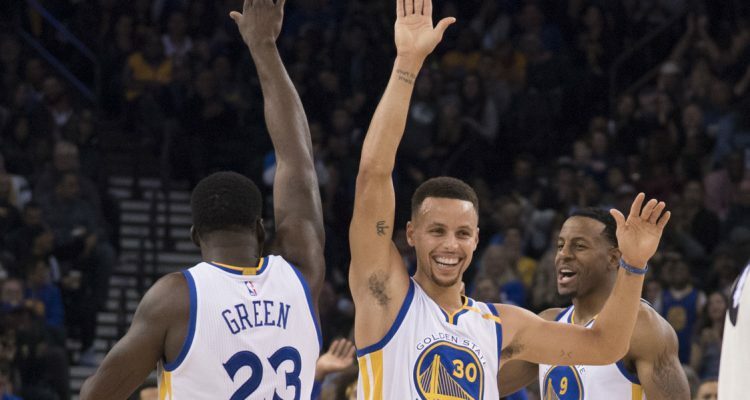 On Tuesday night’s 104-74 rout, the Warriors actually started the first 3 minutes scoreless. Then slow, surely, and painstakingly precise, Ron Adams’ defense took over and the offense executed to the point of just 10 turnovers. 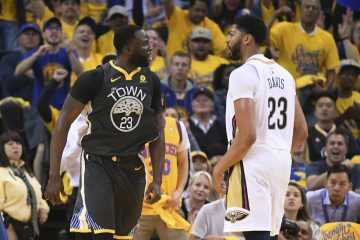 Gone, at least during this third season of Steve Kerr’s scheme, are the lazy turnovers, the careless passes, and the times where the kill shot consumed the soul of this entire offense. 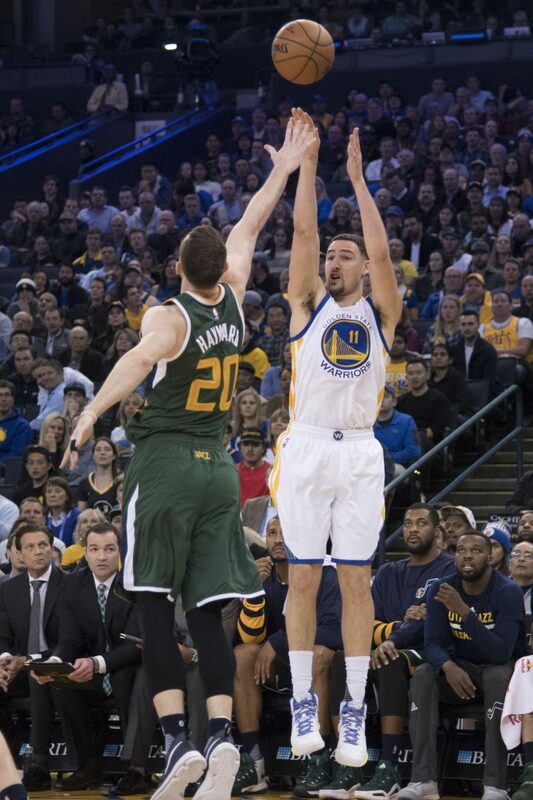 Instead, Durant’s steady scoring has balanced Klay Thompson and Stephen Curry’s any given moment scoring. 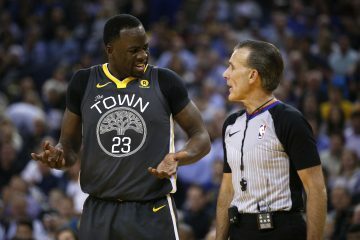 Sprinkle in Draymond Green’s fluidness in the passing game and there’s a margin of error that isn’t even getting touched at this point. Perhaps the best one to describe the flash v. methodical nature is Steph’s off-the-dribble scoring ability from last season to this. Steph has balanced himself to simply pass and cut when a big is switched onto him instead of going isolation every time. Against the likes of Trey Lyles, Boris Diaw, and even Rudy Gobert, he found the balance of taking those patented shots as well as cutting. The result came together as the Warriors extended a 5 point lead to 10, then to 15, and to nearly 20 by halftime. It didn’t take a grand total of 5 minutes like last season. But this somehow seems more a sustainable effort in the long term. 1. 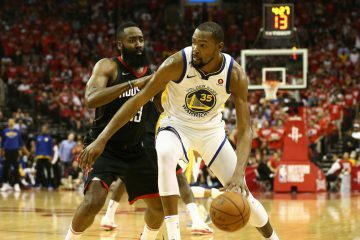 When the game started sluggishly, without either team scoring for over the first three minutes, Kevin Durant came through for a few buckets that didn’t let it slide too far. With Stephen Curry content to dish, Klay Thompson locked up, the Warriors are usually missing that third scorer. Durant isn’t bad at it. 2. Later in the game, Curry got some of his patent off-the-dribble game working again. The wiggle never left him this season, it’s just been more of a lack of necessity. 3. The JaVale McGee lob threat is becoming real. Rudy Gobert abandoned Steph’s drive down the lane to stop JaVale. This is probably becoming more of a pride thing for other teams as getting dunked on by JaVale isn’t nearly as bad as Steph walking in for an open layup. Unfortunately Steph missed it that time. 4. The Utah Jazz were missing George Hill, Derrick Favors, and lost Rodney Hood to a stomach flu or something. It’s still hard to see them giving GSW too much of a problem if they simply aren’t able to shoot. Joe Ingles cannot possibly be your best knockdown shooter. 5. Speaking of the Utah offense, Gordon Hayward has had one good game the past 3 seasons against the Warriors. As their star, they need more than that. 6. Steph caught quite a bit of flak when I tweeted that he pointed at Quin Snyder to call a TO after one of his 3s that ignited another GSW run. I don’t think it’s disrespectful or anything like that. It’s fun. Basketball is just a game. These guys are having fun. Some fans take this stuff way too seriously. 7. Crowd was awful all night and been OK at best all season. Then a guy hit a halfcourt shot for 5 grand and it was the loudest at Oracle all season. 8. “To me, that was the play of the game.” Kerr on Dray’s coast to coast dunk. He defended him by saying he had no place to land and it was more of a health concern than anything. It makes sense but Draymond also had technical issues last regular season before toning it down when he got close to the suspension level. It’s not like he can’t control himself. Maybe until the NBA Finals.